Crisp quality, original photography doesn’t always have to come with an exxy price tag. If you’re in the early stages of starting your business or your just wanting to freshen up your brand, then you might not have the budget for custom photography. Stock photography has often had a bad rap by being cheesy, generic and unoriginal, but it doesn’t have to be like that! Thanks to the many talented and generous photographers out there, a sea of beautiful, original and unique photos have been gifted for you to download and use for free. Whether you need to jazz up your website banners, Instagram feed or create something new, I have put together a list of my personal top 5 websites for high quality, royalty free imagery. From breathtaking landscapes to inspiring workspaces - beautiful, free photography is a click away. I make sure to check out the new uploads at least once a week to make sure I don’t miss out on any of the fresh snaps hot off the press. You can check out the full license details here. Oh the variety! Pexels has thousands of high quality photographs that have been hand-picked to ensure only the best images are uploaded. What I love most about Pexels is that you can search photos by colours. Need that perfect white background for an instagram story or that crystal clear blue ocean for a website banner? Easy find! Pexels filters all the best imagery according to colour, leaving you with the hard work…choosing! 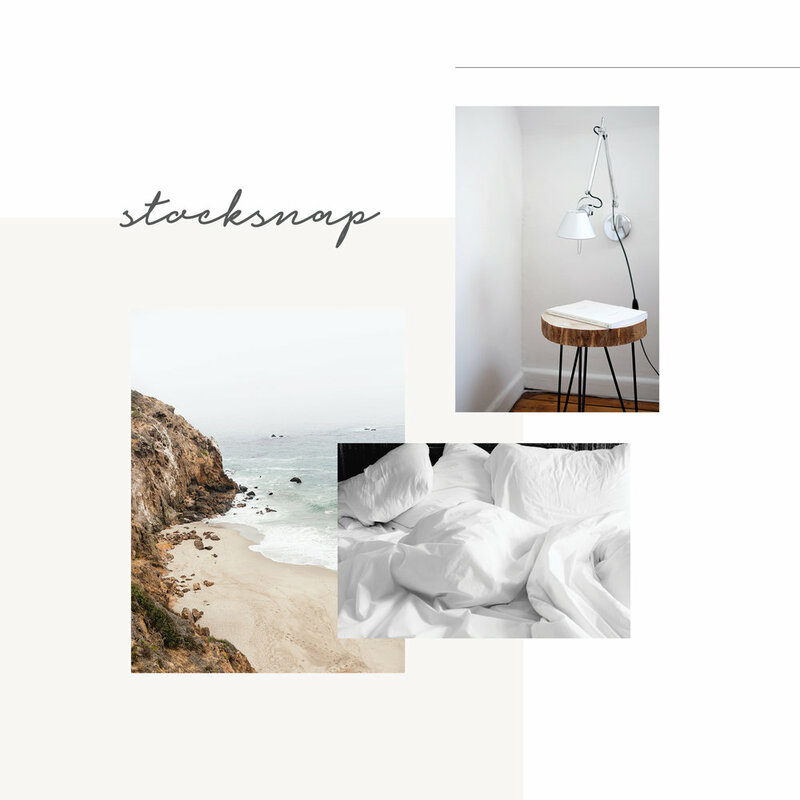 StockSnap aka “not your typical crappy photo stock site” is exactly what it claims. Offering high quality, free photography you will be blown away by the options. You can create an account to start collating your favorite photographs all in one place. Turning your project from good to great is easy when you have that perfect image. Burst was created by the team at Shopify - so it was designed with entrepreneurs in mind. Burst features gorgeous, free stock photography with new images uploaded every week. You can easily search through photos by categories or key words and end up with some incredibly natural looking photography. Tip - Bookmark these sites on your browser for quick pic hunting! Happy scrolling!